Food is our passion. Mexican is our heritage. 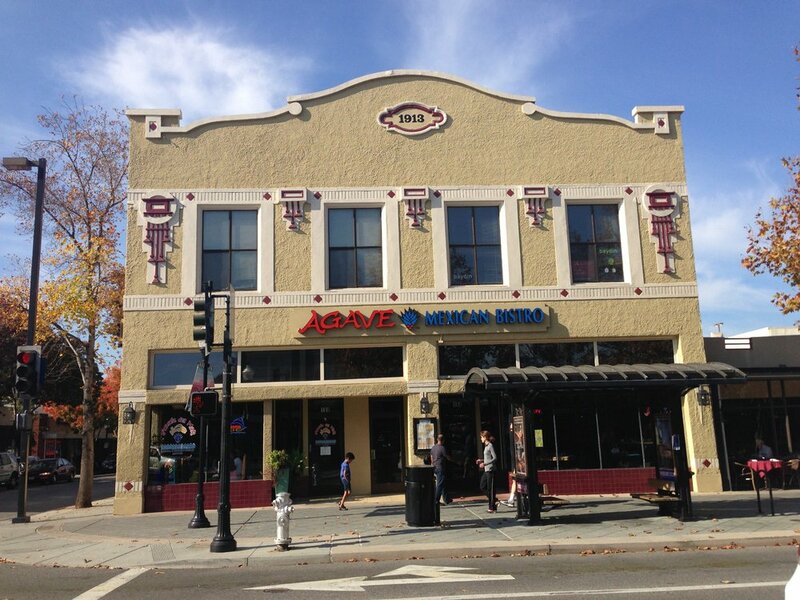 AGAVE MEXICAN BISTRO is owned by Alexandro & Susan Garcia and is one of their three Bay Area Mexican restaurants. Mountain View has long awarded sister restaurants Fiesta Del Mar and Fiesta Del Mar Too with "Best of" accolades in the Best Mexican Food, Best Seafood and Best Margaritas categories. Their East Bay restaurant, Blue Agave Club has also earned similar awards in Pleasanton. Alexandro is a native of Mexico and brings his family's favorite recipes with him. He continues to create his own specialties by blending traditional Mexican flavors with the health conscious California-style of cooking. One door closes and another opens... After 24 years on Shoreline Boulevard in Mountain View, Fiesta Del Mar (FDM) closed its doors and moved in with AGAVE on Castro Street. FDM was Alexandro's first restaurant where he honed his entrepreneurial and cooking skills. "Closing our doors was bittersweet. We knew for many years that our location would go away," Garcia said. "There had been plans for office buildings for our location since 2006. It was only a matter of time. We opened AGAVE in 2012 expecting Fiesta Del Mar to move in immediately, but the developers couldn't get all of the approvals in place so we stayed on Shoreline as long as we could. Now we are excited about the two restaurants being together. Even more exciting is that our Management team is together again. Jorge Cervantes (my cousin) helped me when I first opened Fiesta Del Mar. We worked long hours to establish the business and Jorge remained as Manager there until he moved here. Gilberto Figueroa (my nephew) co-managed at Fiesta Del Mar for many years until he helped us open AGAVE in 2012. His leadership and dedication has been key to our success here." Come join the FIESTA here at AGAVE Mexican Bistro! We have an unsurpassed backyard patio, a great banquet room, fabulous bar with Happy Hour options and we take reservations! 194 Castro Street, Mountain View, California 94041, United States.